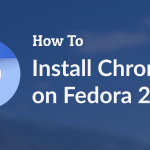 Installing multimedia codecs would allow you to play more audio and video formats than what you Fedora system can play using free tools. 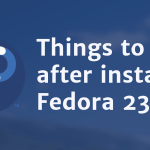 Most of these codecs are proprietary and non free which Fedora does not include. In order to install these, you need to add some extra repositories and install. 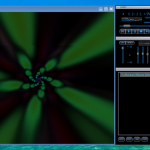 The rpmfusion repository provides lots of software and apps that are not present the Fedora repositories for a number of reasons. The instructions for setting up the rpmfusion repository are available at http://rpmfusion.org/Configuration. Now we are ready to install various multimedia codecs and apps. The gstreamer framework is used by many media players like Totem, Banshee etc. Installing codec plugins for gstreamer enables all those players to play additional audio/video formats. Rpmfusion contains many other video players like Smplayer that you can install. Libdvdcss enables media players to play encrypted dvds. It is not available from the rpmfusion repo. Yes, the H and B are in caps. Now your system should be capable of playing most popular video and audio formats. If you face any issues while installing the above, feel free to comment below. For the love of God , why people use old laggy buggy Vlc is beyond me. Just install SMPLAYER and be done with it . Plays more than Vlc (tested), plays smoother than Vlc, and plays less glitchy. You welcome ! Not everyone wants to install smtube, QT5, and mplayer just to watch some videos on smplayer. VLC works fine, just use it. Can we rid of one? To install VLC you should install rpmfusion repository first like the tutorial indicates. Otherwise you will not be able to find the package. You will also need to run sudo dnf update first i believe. Then run sudo dnf install vlc. But you shouldn’t need vlc anyway. Totem or Videos as it’s now known is pretty good these days. why are there two gstreamer1-plugins-bad-free? first I thought this was a mistake until I noticed the same thing on another sites instructions.